To make the most out of Halloween this year, consider using the following safety tips to ensure a great experience for you and your kids. Try to choose costumes that are bright and reflective. The kids’ shoes should fit well and their costumes should be short enough to avoid tripping. Always carry a flashlight with fresh batteries to light the way for all the children. 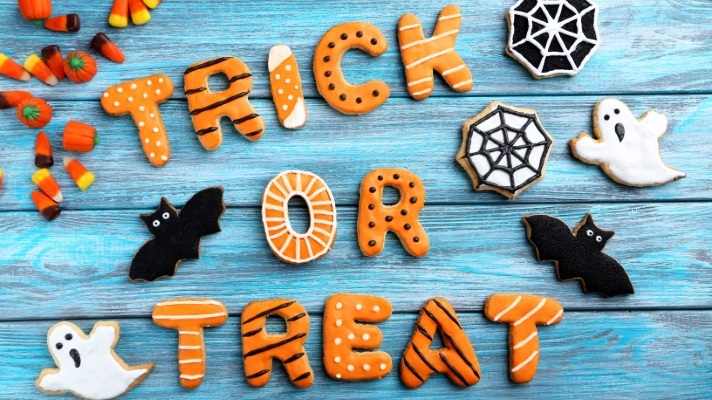 The young children should always be accompanied by their parents or a responsible adult, while older children trick-or-treating alone should have a route and a specific time when they should return home. Encourage kids to obey the rules of the road when of walking around, such as crossing at intersections and designated crosswalks to avoid accidents. Also, be sure to only visit homes that have a porch light on – remember, not everyone celebrates Halloween. Remember to replace any burned-out bulbs outside, and remove obstacles such as garden hoses, toys or lawn decorations that might cause a someone to trip. Have your treats ready right by the door so you don't need to look for them when the trick-or-treaters arrive. Keep your pets in a different room, away from all the excitement. Always, always, always - all candy should be inspected. Throw out any candy that appears to have been tampered with or that is not in its original wrapper. Remove the small, hard candy, as it can be a choking hazard to the little ones. Selling Your Home this Halloween Season? Although decorating your house with some scary Halloween decorations may be appealing to you, it’s a good idea to be careful not to over do it when your home is for sale. Buyers may not share your enthusiasm for the holiday. Instead, consider some tasteful fall decorations throughout the home. Pumpkins and scarecrows are fine – just stay away from the skeletons and coffins! Wondering what your home is worth? Contact me!